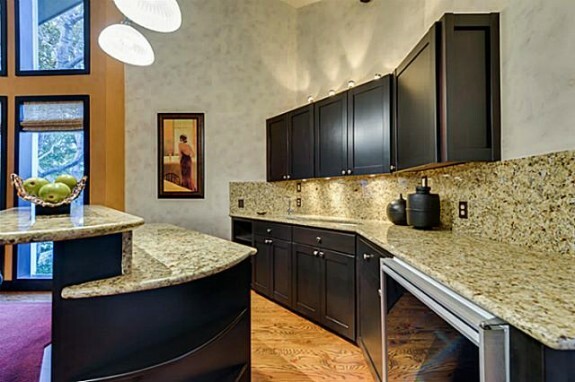 It is no secret that buyers are re-discovering the snazz and pizzazz of homes built in the 1980’s. 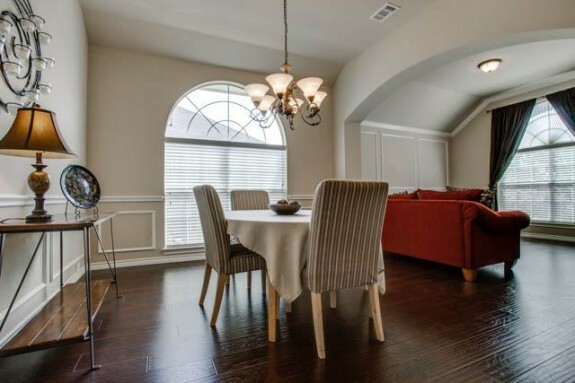 With the dearth of inventory, they are also re-discovering Dallas north of LBJ. In fact, the newest slogan around is “It’s OK to be north of LBJ”. 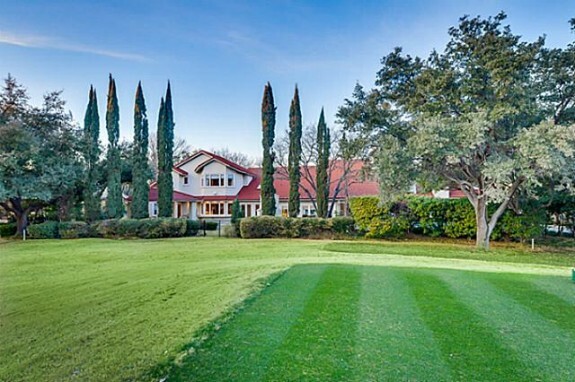 Many boomers who lived south of LBJ for schools — ESD, Hockaday, St. Marks — or paid huge prices for postage stamp Park Cities lots, now want to stretch out on some serious dirt and have a country club at their beck and call. They want views of acres of green, manicured lawn that someone else takes care of and waters. And they want those master bedrooms on the first floor! 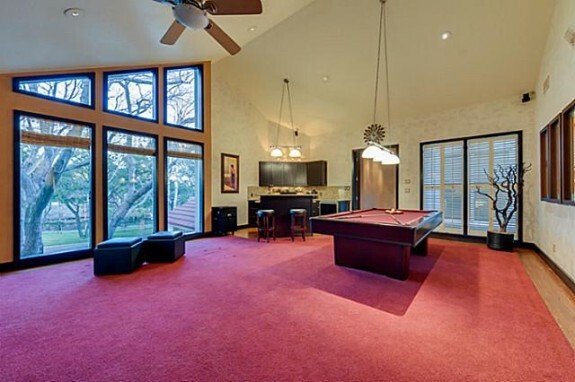 Now comes a contemporary-loving Valentine’s delight to the market, on the 14th hole of Bent Tree Golf Course: 5618 Harbortown. 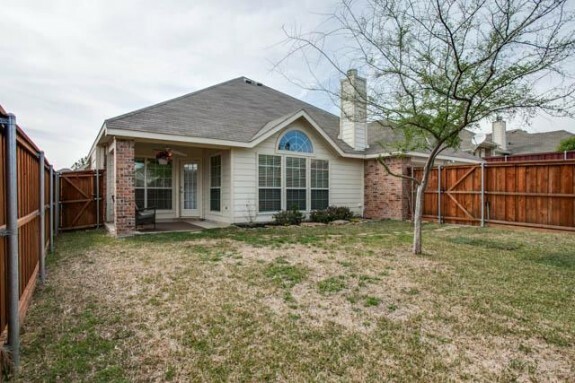 This glorious home is listed by Jacqui Bloomquist with Coldwell Banker. First off, there are trees — trees which were little bitty saplings back in the 80’s when this area was developed. 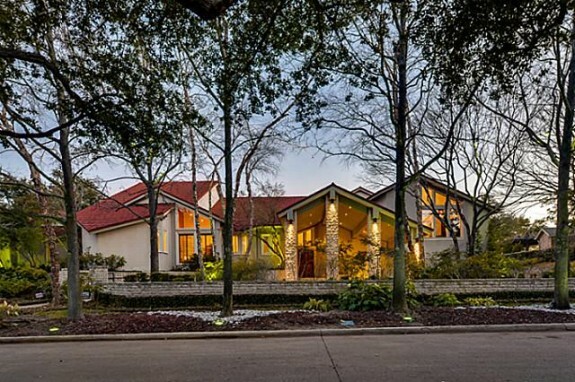 Now they are huge, mature, often healthier than Preston Hollow or Park Cities arbors. This valentine is nestled amongst trees on a .52 acre cul-de-sac lot with panoramic views of Bent Tree from nearly every window! 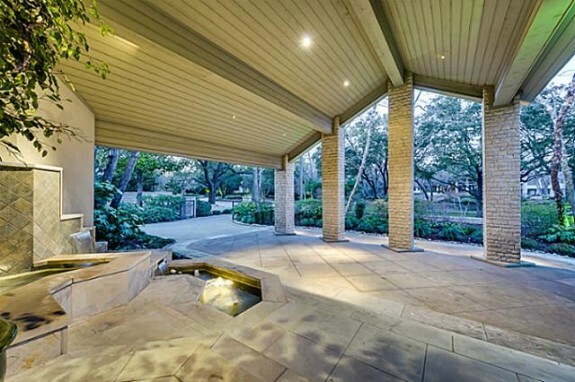 Built by Harold L. Tomlinson, of Tomlinson Construction Corp., as his personal residence. What does that tell you? No expense was spared on quality, that’s what. Architect Peter Manos drew the plans, while Cindy Severeson handled the interior design, but the second owner was none other than interior designer extraordinaire Connie Howe. 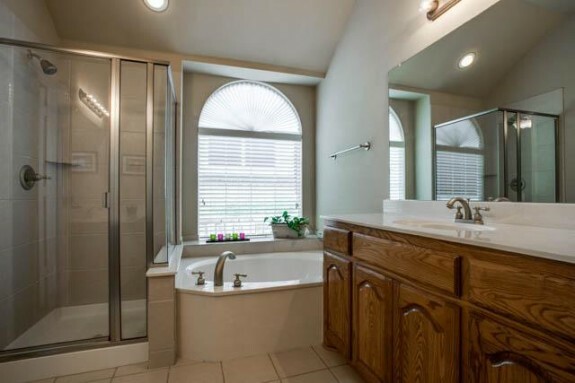 The three-owner home has been treated like a precious treasure, maintained, updated and improved. Built in 1985, it has so much stone and travertine, including whole walls of the stuff, you might be able to start your own quarry should your grandchildren ever raze it. The port cochere entrance is a foreshadowing of the drama ahead: a limestone terraced entry complete with lighted, sound-soothing fountain. 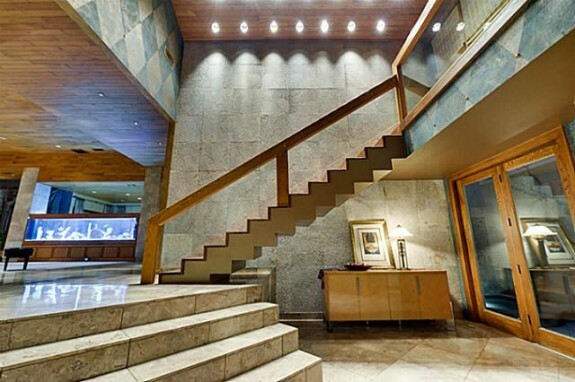 Walk into to a foyer that will impress Vladmir Putin: a whole friggin wall of hand scored, rough faced travertine showcasing an incredible floating staircase that is like a sculpture in balance. 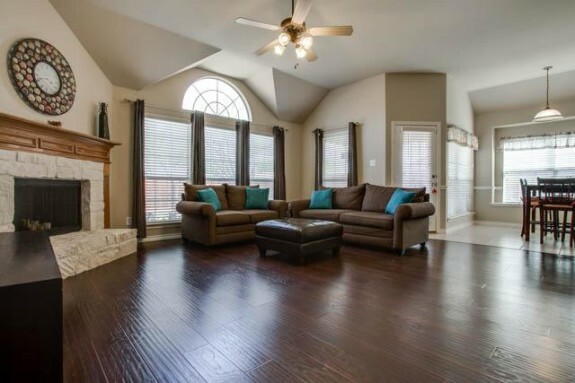 The formal living/great room is expansive – room at last for your concert grand, with a dining room big enough to hold the whole family during holidays. 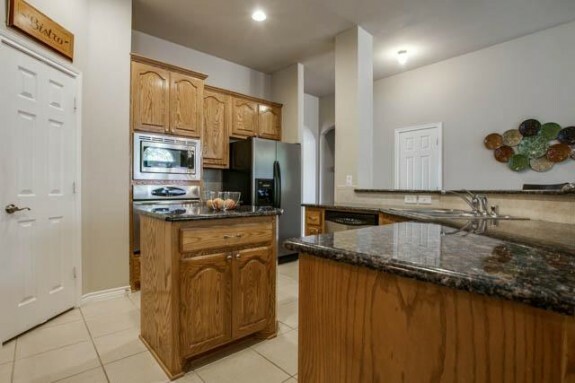 Onto the kitchen which has been updated with black galaxy granite, a five-burner gas cooktop range with WOK burner, a commercial-grade Vent a Hood, double dishwashers, recycling bins, double sinks, convection oven and double SubZero. 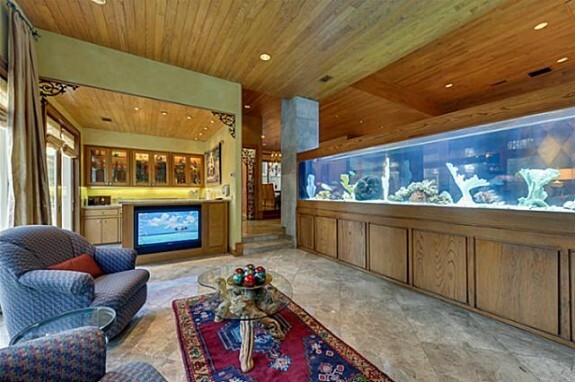 There is a walk-in bar, and the piece de resistance pour moi: a MORNING ROOM with a an aquarium wall! 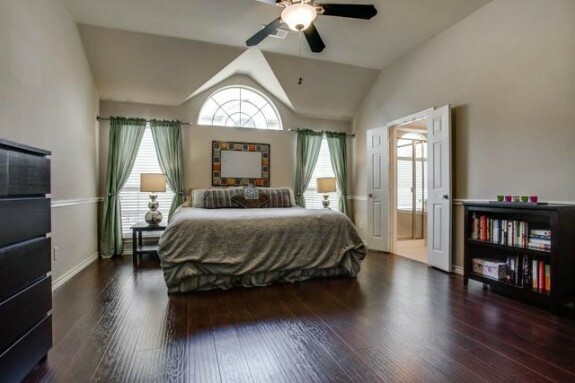 The home has three of it’s five bedrooms downstairs, including the master. 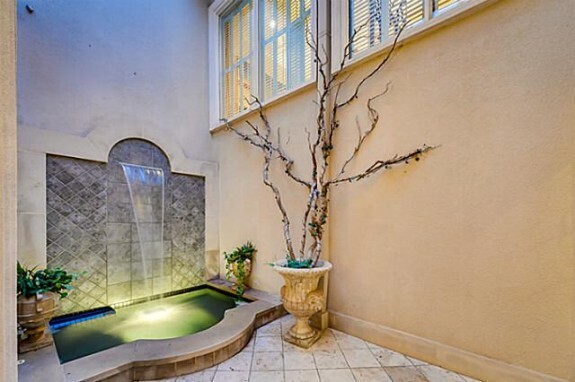 There is even an atrium room with a fountain that would make a perfect meditation room. 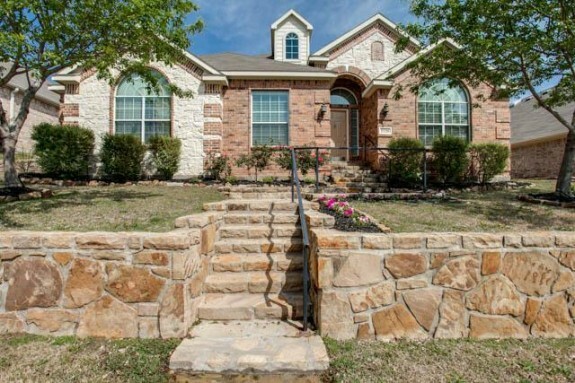 Buy this home, you will stay-cation right here because the 25 by 15 foot master features a sitting room with fireplace, an office, mammoth his and her baths with a quarry-full of travertine on the floors, walls, probably even the ceiling! 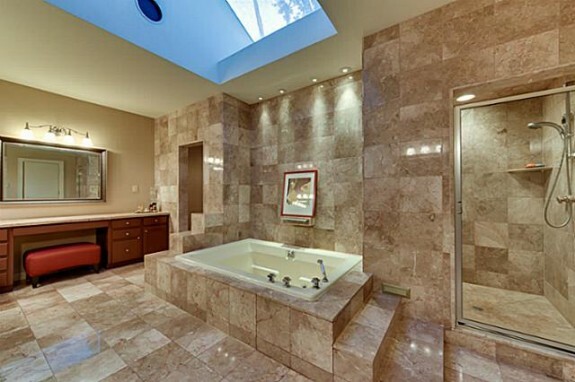 There are granite counters, oceans of deep custom cabinets, skylights, a hydro tub you step up and down from, none of this climbing business, a bidet, and a steam shower! Media you ask? 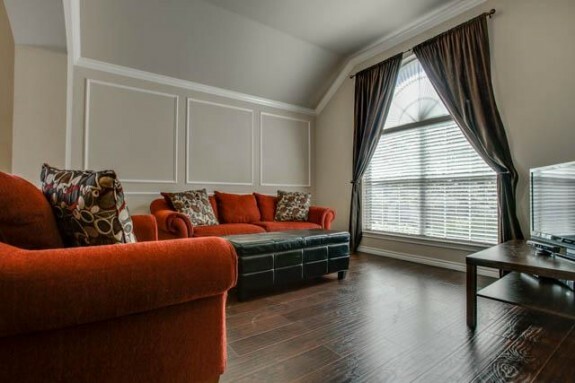 Where would you like it, in the family/great room (much more efficient than a separate media room way away from the kitchen) OR the master where you can snuggle down on Valentines Day? How about BOTH? 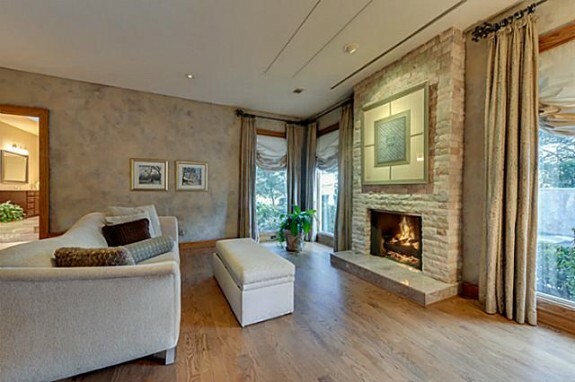 The very wise owners installed drop down projectors and screens both in the great room and master bedroom! Up those sculpture stairs are two bedrooms, one of which would make a perfect office because it has a separate back entrance, and a game room with a full bar that really deserves to be called the second kitchen. 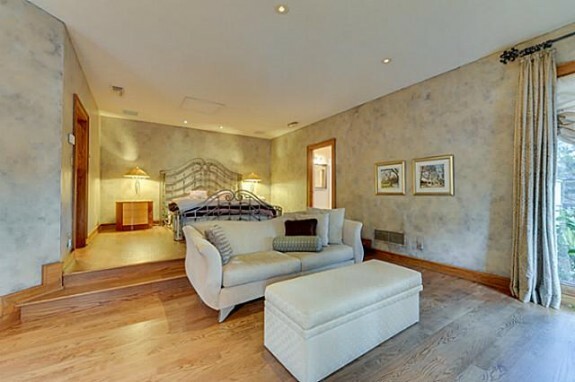 The home has a total of five bedrooms, seven and one-half baths so all bedroom baths are en-suite, a whopping 7774 square feet of wondrous living. 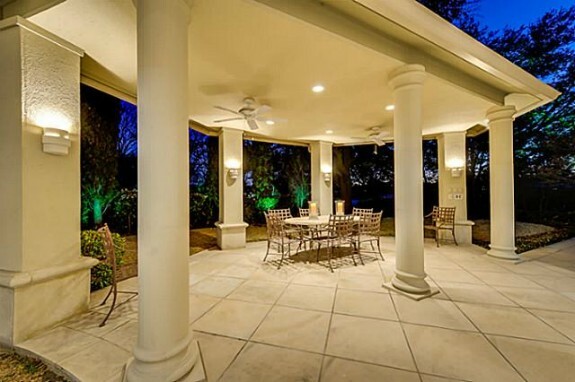 Outside, there is a covered pavillion and glorious pool. 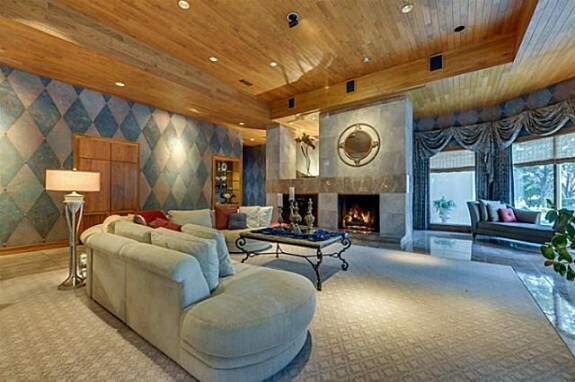 All this for — I hope you are sitting down — a mere $1,675,000. A quarry of travertine, resort-like backyard, pool, fountains, water features, outdoor fireplace (two inside) and a golf course right next door. I mean, really! Open this Sunday, February 16 from 12 to 4 pm for your post Valentine’s Day pleasure with food, music and drink… just head north of LBJ, it’s REALLY OK!